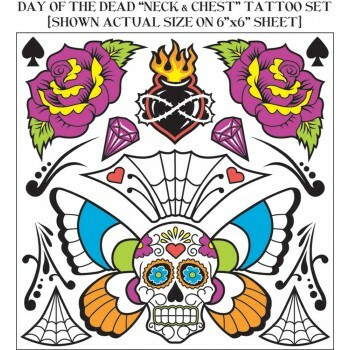 A great tattoo accessory kit for your Day of the Dead costume. 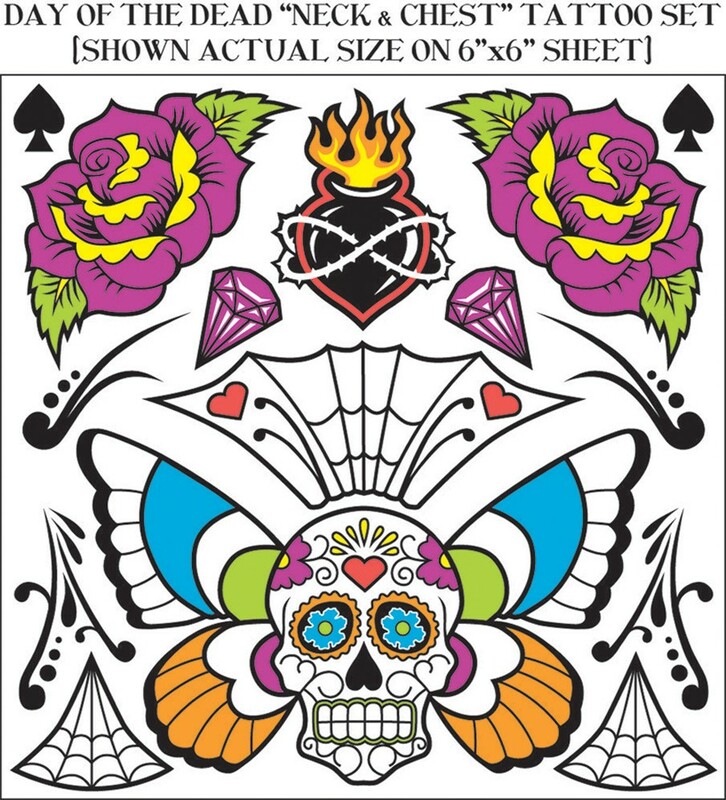 Colorful tattoos for the body and top of the chest area. One size fits most.